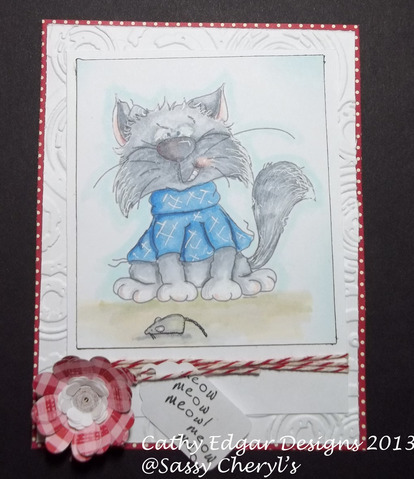 Sassy Cheryl's Digi Stamps Challenge Blog: Challenge #148-Let's keep it clean! Challenge #148-Let's keep it clean! Well, we are in to our first FULL week of the new year. I hope that your 2013 is off to a great start! It still seems funny typing that. I don't know about you, but I love the 'newness' of a new year. A fresh start. A clean slate. There's just something about it that is exciting, don't you think? 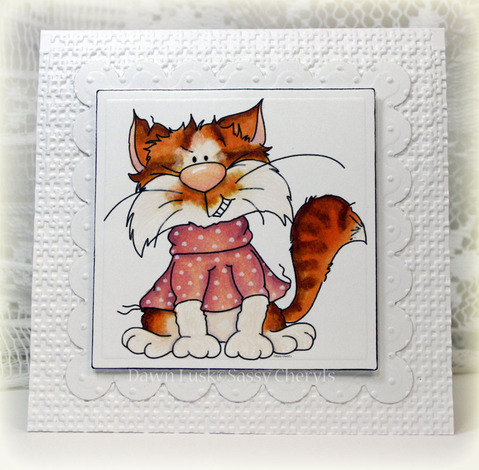 I hope that one of your New Years resolutions was to play along in the Sassy challenge each week, because we NEVER get tired of seeing you. . .or your wonderful cards! A big fat thank you to everyone who played along last week. There simply was a variety for the 'Anything goes' challenge. They were all amazing! But now to the fun. 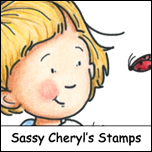 Who was the lucky winner of the TWO FREE IMAGES from the Sassy Cheryl's Digis shop? Well, that lucky person was. . . . Sometimes it pays to be last, doesn't it! 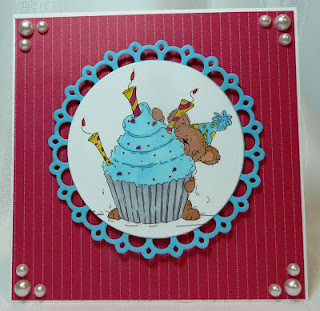 Isn't this a fun and adorable card! I LOVE IT! Congratulations Rosie!!! Just email Sassy Cheryl and she'll get your TWO FREE IMAGES credited to your account. So, let's move on to this weeks challenge, shall we. The ever so talented and oh so sassy Pat is our hostess for this week! And she has picked a fantastic theme. . . . .
Now, how 'simple' is that! 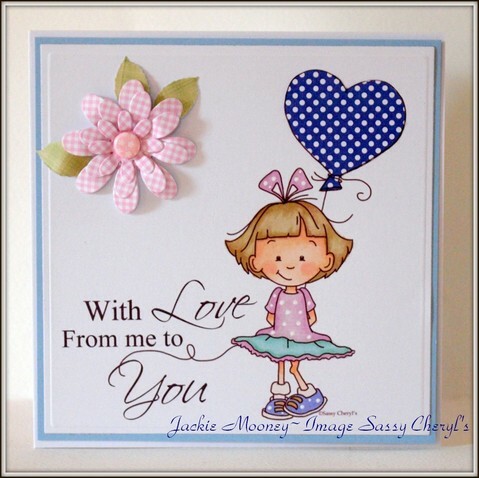 I love these types of cards and the Sassy DT has certainly outdone themselves again this week. I don't know how 'simple' they are . . .but I do know that they are simpl-y GORGEOUS!!!!!!!! Check them out. 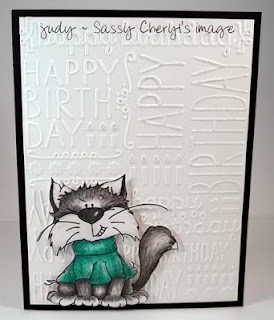 It seems that Bandit and his mischievous smile was pretty popular with the Sassy design team this week. So. . . .get busy. Times a wasting. And come on. . .you know you can do a clean and simple card. Those are easy. . .and we would LOVE to see. But remember. 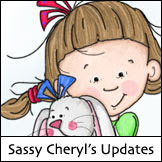 . . .you MUST USE A SASSY CHERYL'S DIGIS IMAGE! You'll have until 5 PM EST, Monday, January 14th to get your blog or photo linked up to be entered in the drawing. 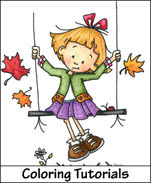 Have a FABULOUS and CRAFTY week! Congrats Rosie! What a way to start the day! Ladies. . . .gorgeous as always. You've outdone yourselves, yet again. I see Bandit is quite the hit with this week's DT cards It is always amazing to me how you can take the same image and create such drastically different yet fantastic cards. Well done ladies. Congrats Rosie your card is very cute. Great inspiration from the DT. I am not sure that clean and simple is that simple but I will give it ago lol!! Congrats on the win, Rosie! 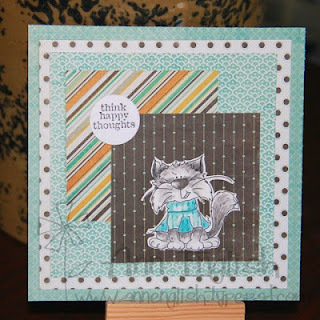 Fun Challenge and great DT inspiration as always. 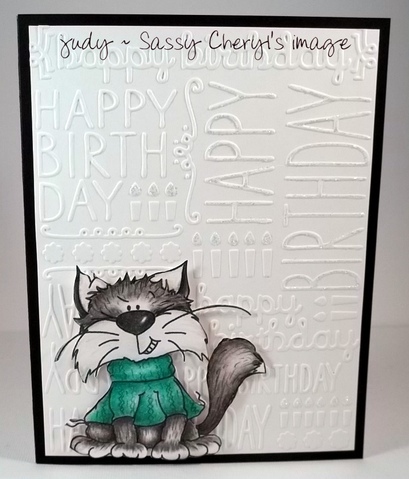 Challenge #150-You say it's your BIRTHDAY!? 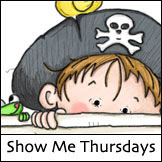 Challenge #147. . .ANYTHING GOES!